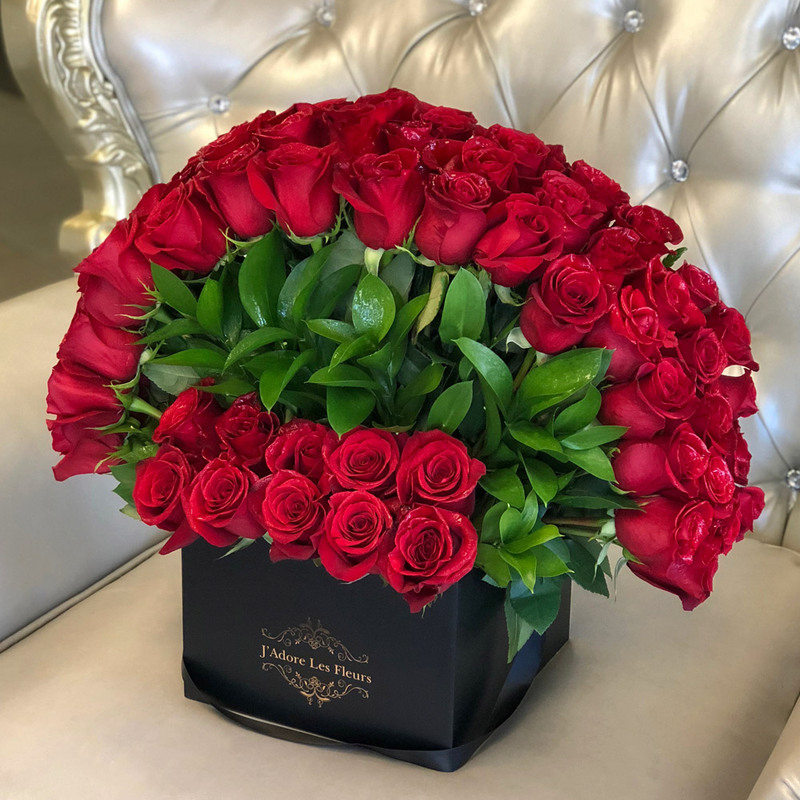 Throughout history, roses have always been considered as the flower of elegance, love, romance, and passion. This breathtaking design of J’Adore Signature Rose Box is as elegant as it is romantic. 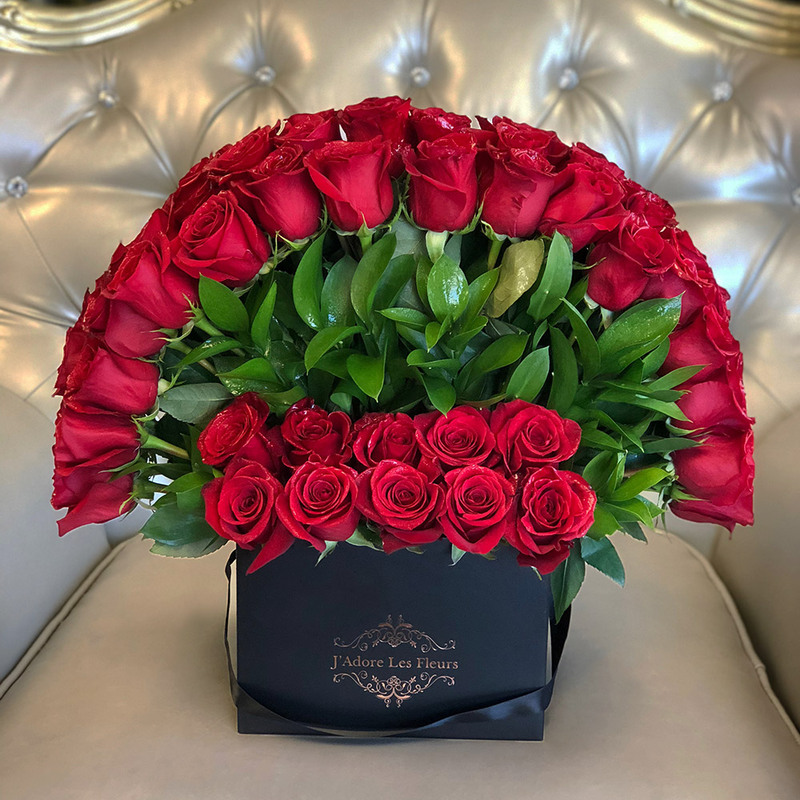 Capture the essence of elegance, romance, and passion with this stunning box of 75 standing roses in red carefully put together with effort and detail one by one creating a modern design with a classic touch! The arrangement in the photo is in our medium square box.